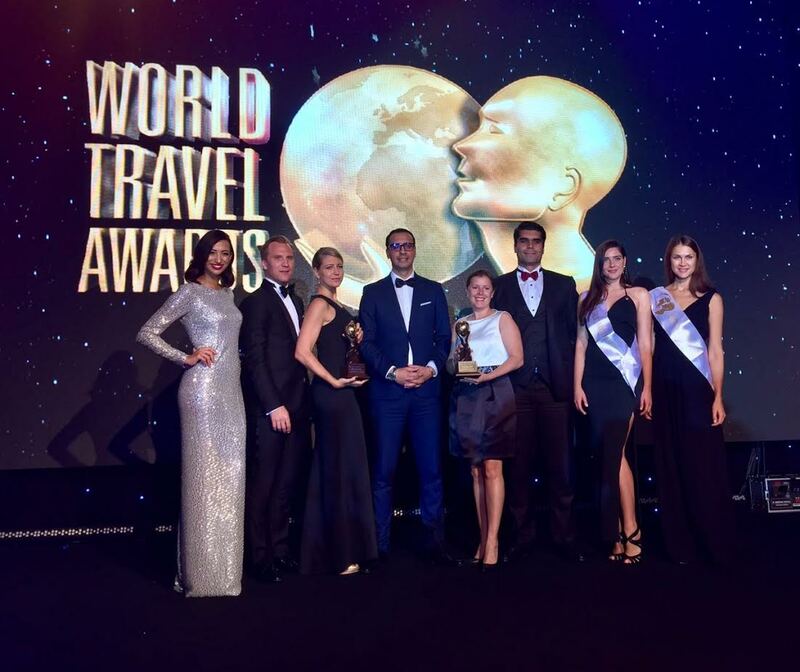 Abu Dhabi, United Arab Emirates: Jannah Hotels and Resorts, the Abu Dhabi-based collection of luxury hotels brought home four prestigious awards from World Travel Awards 2016, held in Dubai last evening. Jannah Burj Al Sarab, a five-star hotel featuring the world’s fastest hotel internet speed at 1.2 Gb per second located in Abu Dhabi won United Arab Emirates’ Leading Hotel Residences 2016 and Abu Dhabi’s Leading Hotel Residences 2016; Jannah Eastern Mangroves Suites, the group’s first hotel that opened along Abu Dhabi’s protected eastern mangroves coastline in 2013, won United Arab Emirates’ Leading Serviced Apartments 2016 and Abu Dhabi’s Leading Serviced Apartments 2016. On top of these, Jannah Burj Al Sarab was also recognized as Abu Dhabi’s Best New Hotel. World Travel Awards is the authoritative awards program in the travel industry to acknowledge, reward and celebrate excellence across all key sectors of the travel tourism and hospitality industry. Properties in the portfolio include Jannah Burj Al Sarab, Jannah Eastern Mangroves Suites, Jannah Place Abu Dhabi, Jannah Marina Bay Suites and Jannah Place Dubai Marina. Upcoming properties include Jannah Residences City Center, Abu Dhabi (2016), Jannah Beach Resort, Ras Al Khaimah (2016), and Jannah Creek Dubai (2018).